Healthy food can be expensive. Therefore, it can be difficult to eat well when you’re on a tight budget. However, there are many ways to save money and still eat whole, single-ingredient foods. 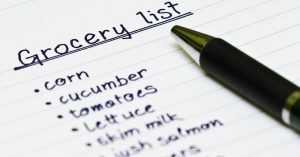 Bottom Line: Plan your meals for the week and make a grocery list. Only buy what you’re sure you will use, and check out what you already have in your cupboards first. Bottom Line: Stick to your grocery list when you’re shopping. Shop the perimeter of the store first, as this is where the whole foods are generally located. Bottom Line: Shopping while hungry can lead to cravings and impulsive buying. If you’re hungry, have a snack before you go grocery shopping. Some foods are way cheaper in less processed form. For example, a block of cheese is cheaper than shredded cheese and canned beans are cheaper than refried ones. Whole grains, like brown rice and oats, are also cheaper per serving than most processed cereals. Most stores offer generic brands for nearly any product. All food manufacturers have to follow standards to provide safe food. The generic brands may be the same quality as other national brands, just less expensive. However, read the ingredients lists to make sure that you’re not getting a product of lower quality than you’re used to. Cut out some of the junk food from your diet. You would be surprised to see how much you may be paying for soda, crackers, cookies, prepackaged meals and processed foods. Despite the fact that they offer very little nutrition and are packed with unhealthy ingredients, they are also very expensive. Bottom Line: Stock up on staples and favorite products when they’re on sale. Just make sure that they won’t go bad in the meantime. Fresh meat and fish can be quite expensive. However, you can get many cuts of meat that cost way less. These are great to use in burritos, casseroles, soups, stews and stir fries. It may also be helpful to buy a large and inexpensive cut of meat to use in several different meals during the week. Eating less meat may be a good way to save money. Try having one or two days per week where you use other protein sources, such as legumes, hemp seeds, eggs or canned fish. Fresh fruits, berries and vegetables are usually in season only a few months per year, and are sometimes rather expensive. Quick-frozen produce is usually just as nutritious. It is cheaper, available all year and is usually sold in large bags. Frozen produce is great to use when cooking, making smoothies, or as toppings for oatmeal or yogurt. Furthermore, you gain the advantage of being able to take out only what you’re about to use. The rest will be kept safe from spoiling in the freezer. Reducing produce waste is a great way to save money. 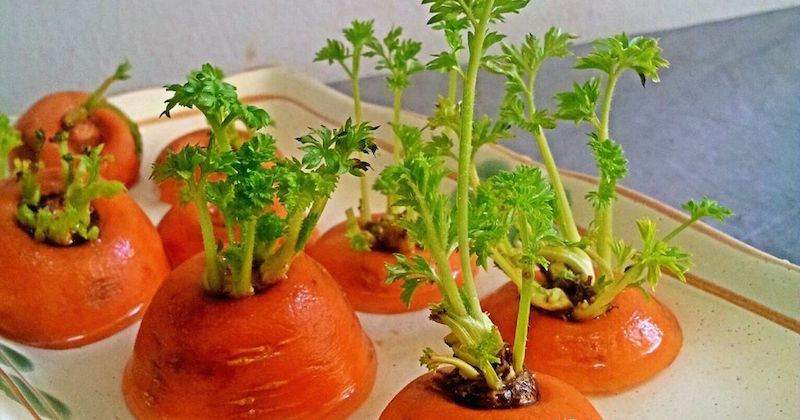 If you can, it is a great idea to grow your own produce. Seeds are very cheap to buy. With some time and effort, you may be able to grow your own herbs, sprouts, tomatoes, onions and many more delicious crops. Having a continuous supply at home saves you money at the store. Coupons are a great way to save some money. Just be sure to use them wisely. Most coupons are for unhealthy, processed foods. Sort out the good quality deals from the junk, and stock up on cleaning products, healthy foods and other staples that you’ll definitely use. There are a lot of foods available that are both inexpensive and healthy. By making some adjustments and using ingredients that you may not be used to, you can prepare many delicious and inexpensive meals. Try increasing your use of eggs, beans, seeds, frozen fruits and vegetables, cheaper cuts of meat and whole grains. These all taste great, are cheap (especially in bulk) and very nutritious. There are several online retailers that offer healthy foods for up to 50% cheaper. By registering, you get access to daily discounts and deals. What’s more, the products are then delivered straight to your door. Thrive Market is a very good online retailer that focuses exclusively on healthy and unprocessed foods. Buying as much as you can from them can save you a lot of money. You don’t have to break the bank to eat well. 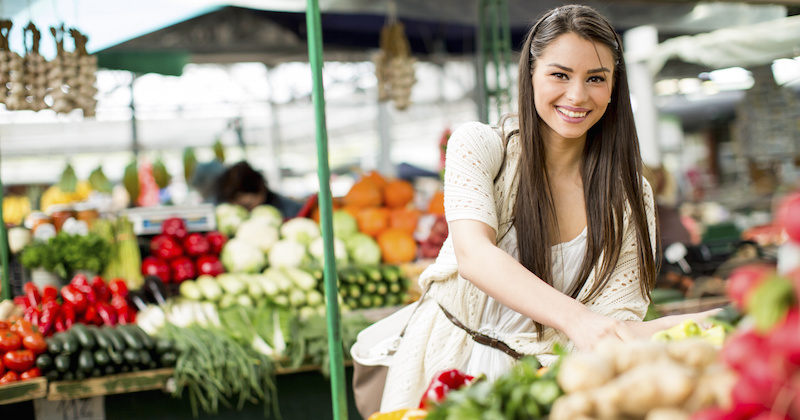 In fact, there are many ways to eat healthy even on a very tight budget. These include planning your meals, cooking at home, and making smart choices at the grocery store. Also, keep in mind that junk food costs you twice. Bad health comes with medical costs, drugs and even reduced work capacity. Even if eating healthy was more expensive (which it doesn’t have to be), then it would still be worth it down the line. You really can’t put a price on good health.